Annotation: Instant, systematic, and engaging! These ready-to-use activity mats give young children the focused practice they need to really learn their numbers. Each mat targets a number from 1 to 30, an increment of 10 up to 100, or a key number concept. 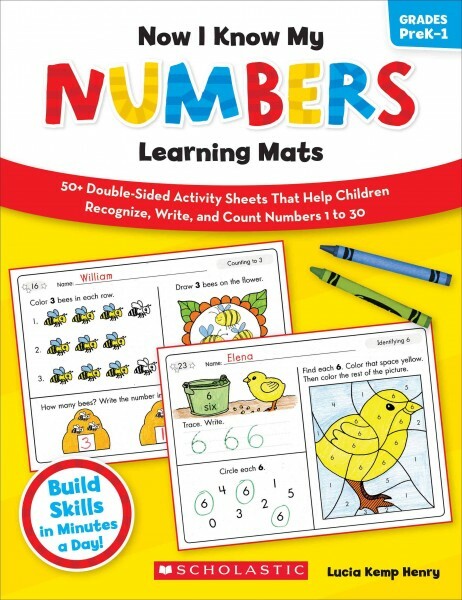 Skills include number recognition, number formation, counting, number words, comparing quantities to numbers, comparing sets, sequencing, as well as following directions. Great for independent work, centers, and homework! - Counting; Study and teaching (Primary); Activity programs. - Number concept; Study and teaching (Primary); Activity programs.